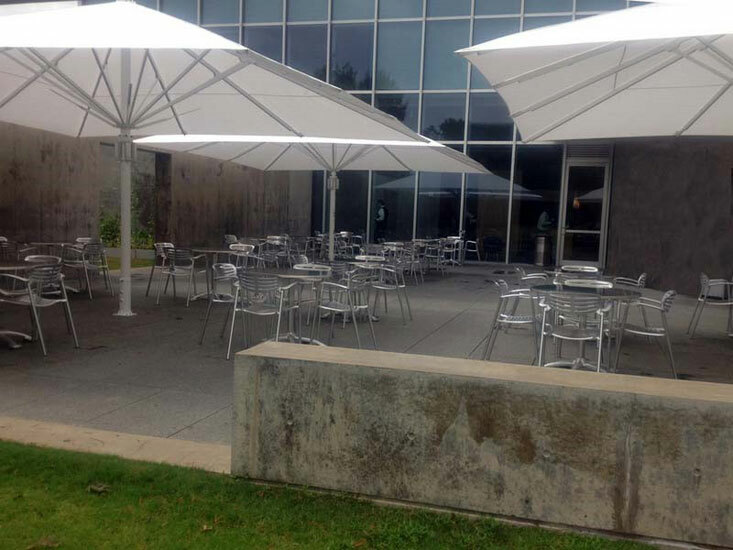 The Uhlmann StrongWind umbrellas are in a class of their own. 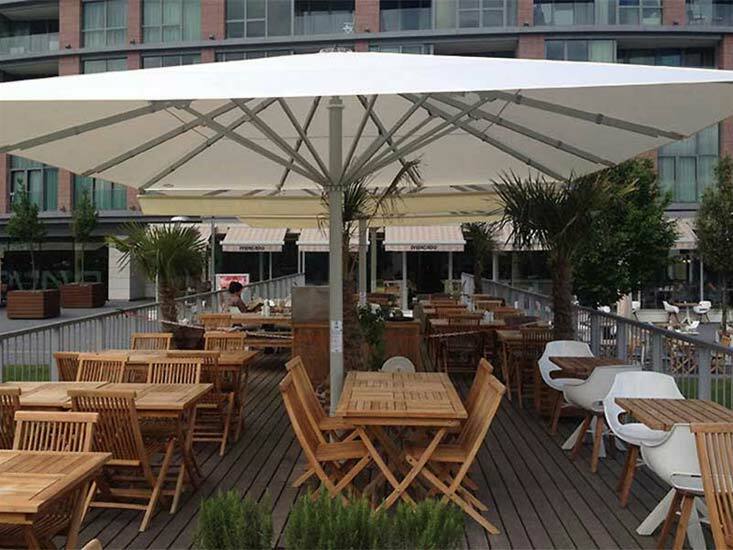 Their unrivaled strength is combined with beauty and sophistication that is presented with meticulous workmanship. 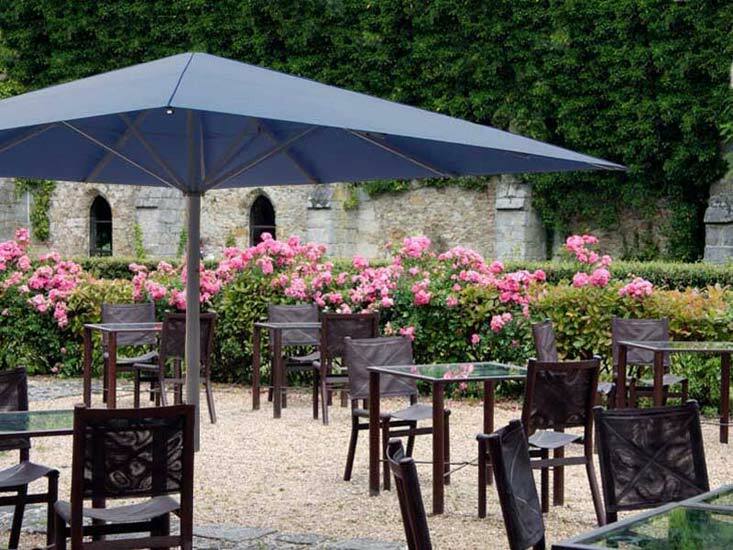 In a TUV certified wind tunnel testing they passed 102 kilometer (60 miles) per hour sustained wind by a large margin, providing proof that our StrongWind umbrellas are the ultimate choice for every extremely windy location. 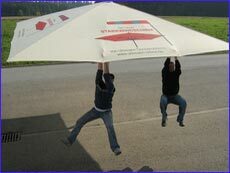 The actual wind speed of 121km or 75mph reached during our test is Hurricane 1 level wind. 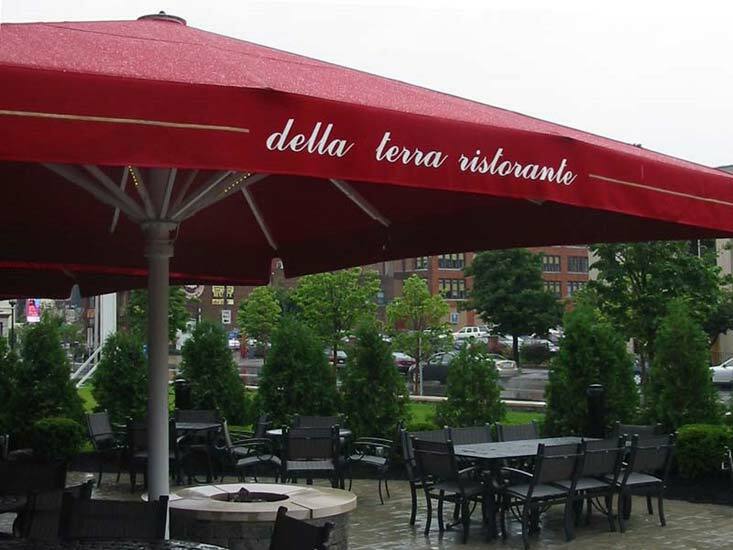 Our StrongWind Umbrellas perform exceptionally well under any weather conditions, and are unrivaled in value. 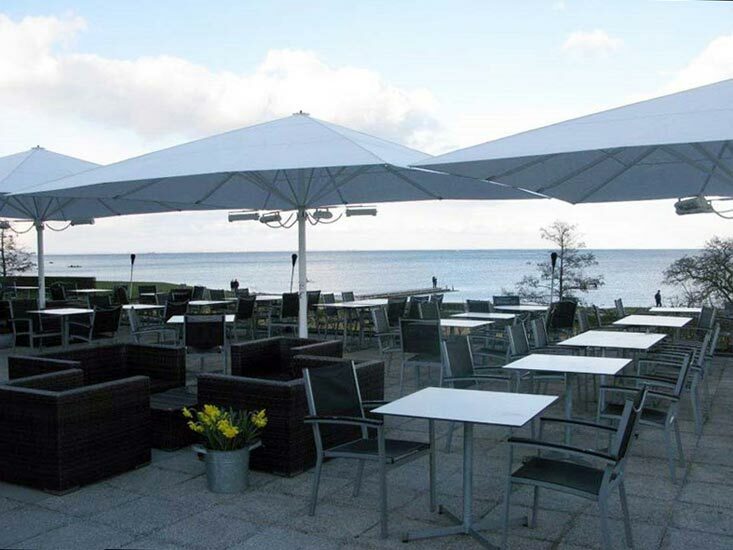 They are very popular in the hospitality industry. 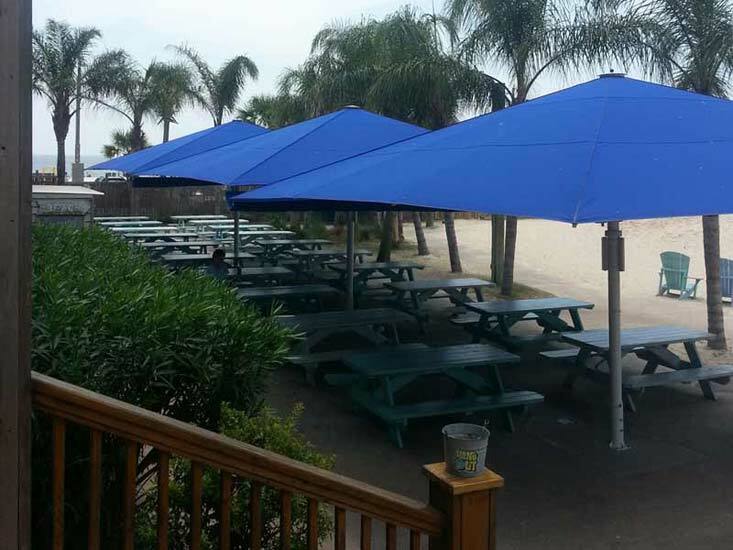 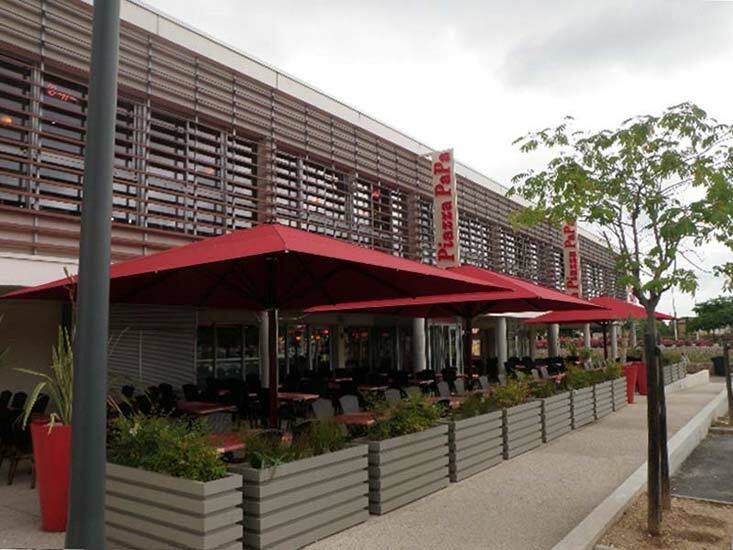 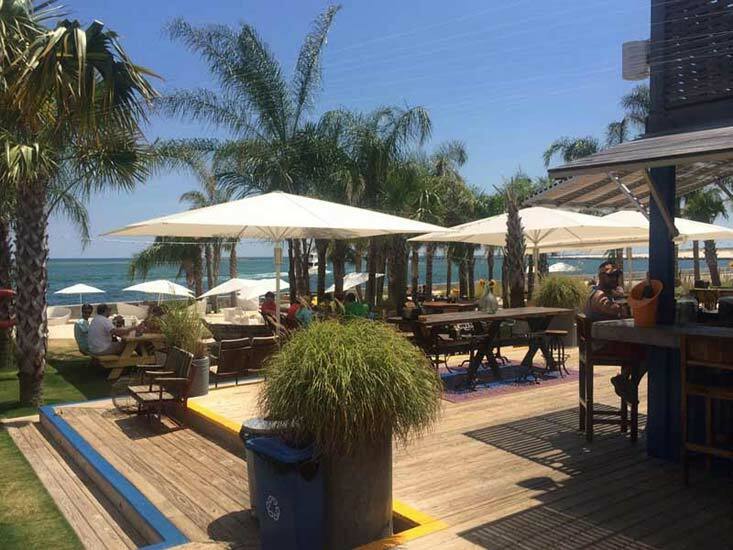 Hotels, restaurants, cafes, pubs, resorts rely on Giant StrongWind Umbrellas for their brute strength, and municipal parks, pool complexes, theme parks install them for their proven stability. 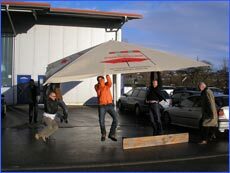 Simulated "vandal attack" by two of our employees didn't break or even bend the arms of our StrongWind. 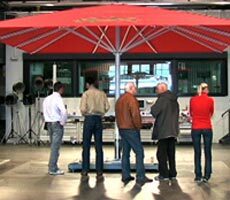 Potential customers join in to take a few swings on our test umbrella, further proving its unique strength. 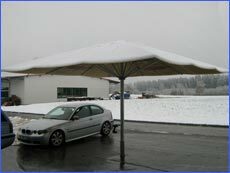 Unexpected overnight snow storm, with a ton of wet snow, causes no damage to the canopy or the frame. 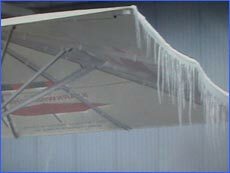 When the snow is allowed to melt on the canopy, it forms spectacular icicles.